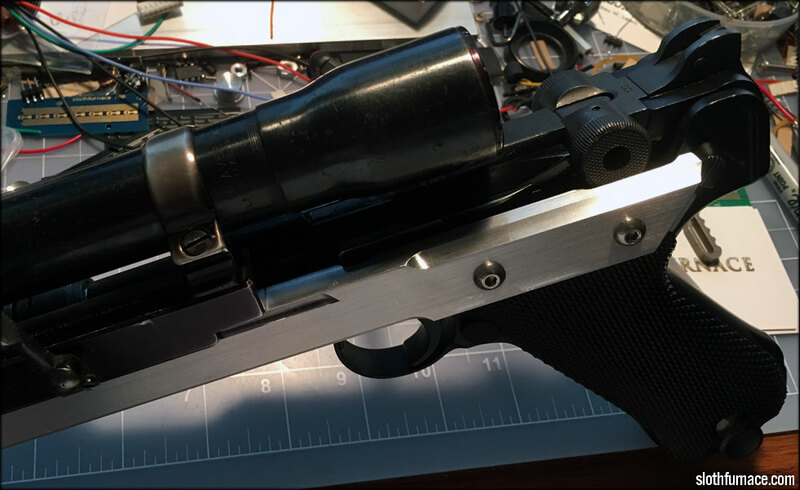 Mischief Specs: WEP Luger p08 artillery gas powered airsoft pistol, 1950s vintage weaver K1 scope, vintage Jaeger scope mount, FAL flash hider, custom machined hardware. 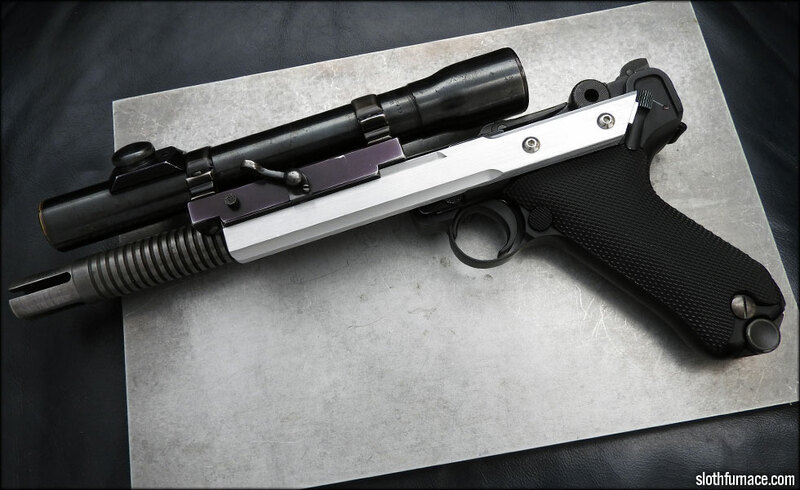 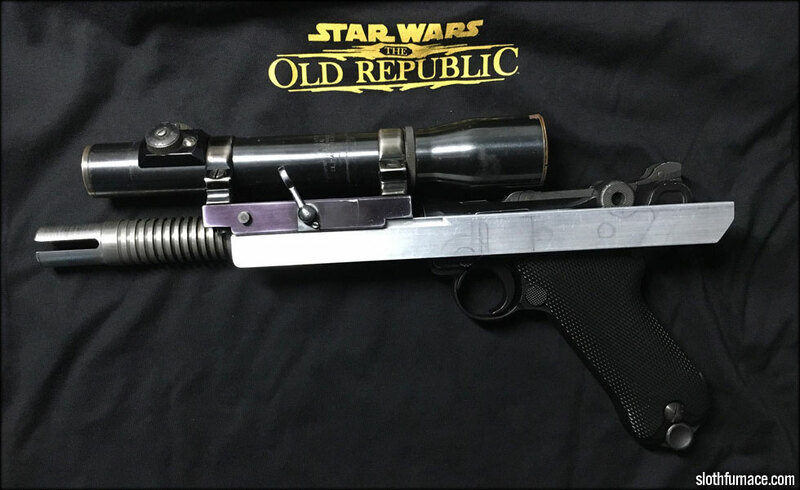 This pistol was built as a working concept piece for preproduction for the platinum blaster set Mischief and Anarchy for SWTOR. 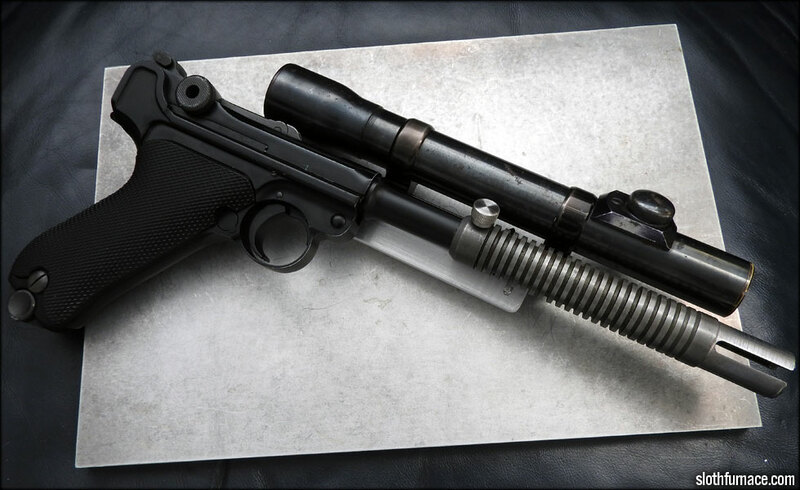 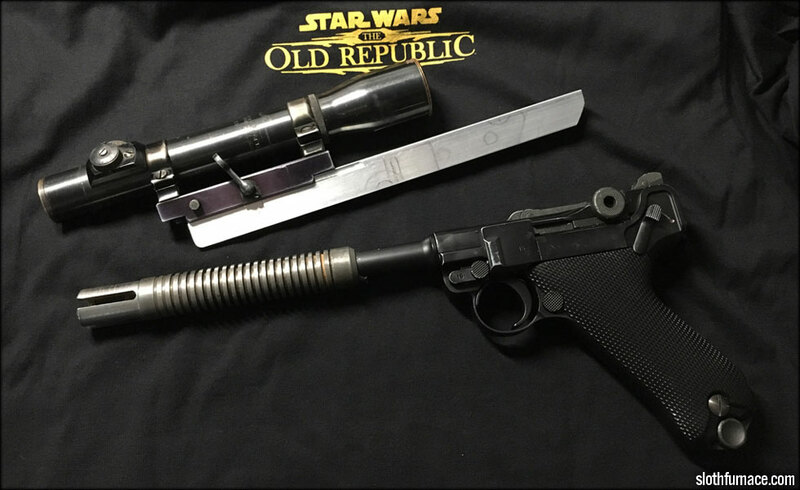 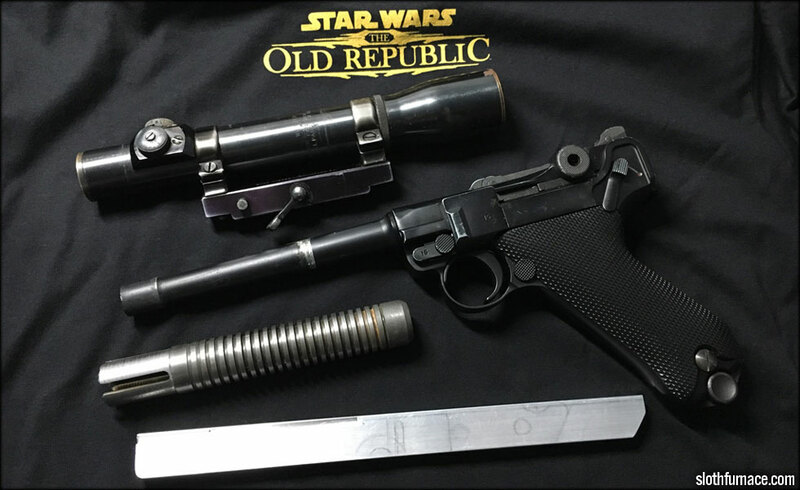 When I build weapons for SWTOR, I like to start in the same ways the prop guys from the original trilogy would have. Take a WW1 or WWII era weapon, add some found parts on to it to make it interesting, and move from there. 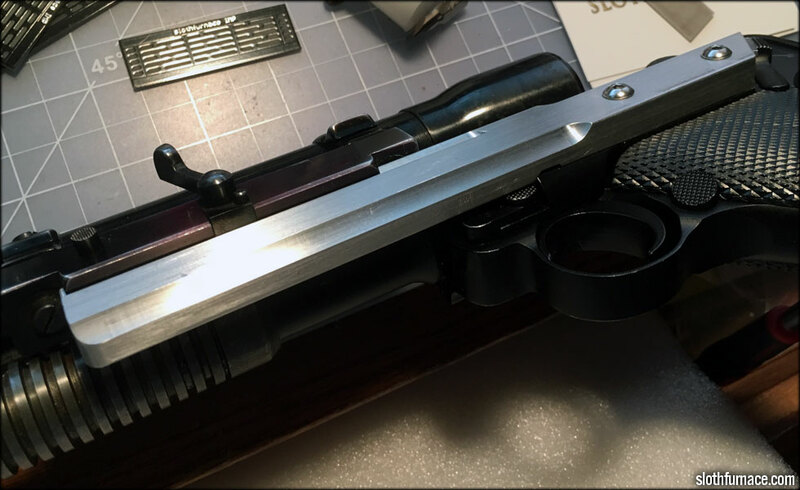 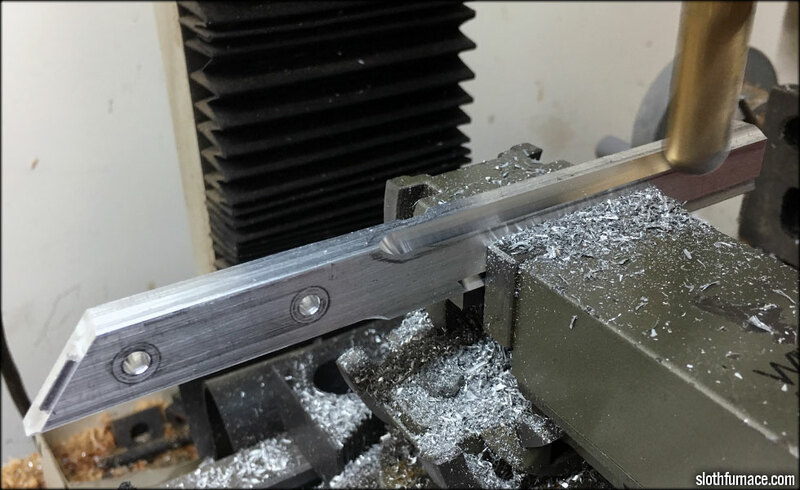 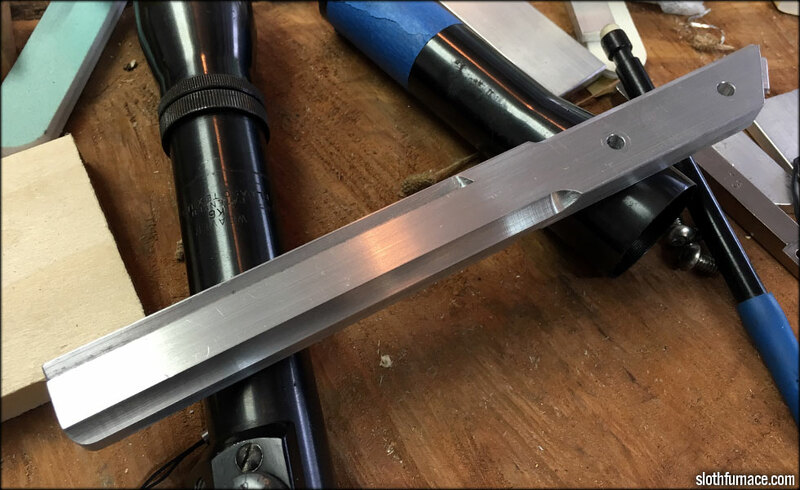 Sometimes, I like to build a weapon in my garage, in real life before I begin the in-game modeling. 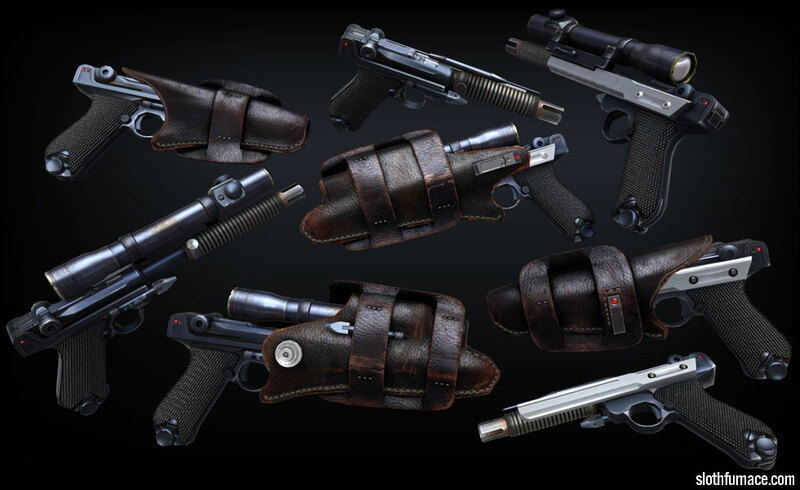 I find this lends authenticity to the game model, and helps me make an asset reflect the "Star Wars" look.